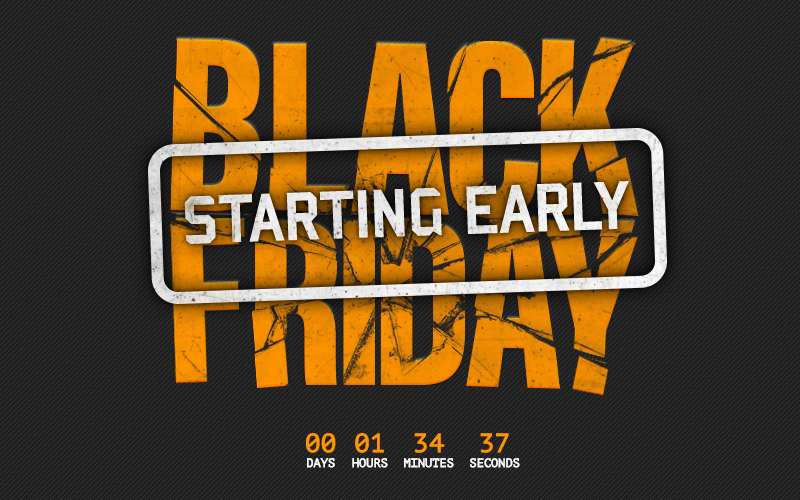 Overclockers UK's Black Friday sale is starting early, with offers starting today at 5pm GMT. Read more on OCUK's early Black Friday sale. Thankfully I am usually always skint when BF comes around. Last year I did OK though, got a 240gb Sandisk Ultra for £39.99. I bought a phone for my lady too (BLU windows phone) for £40 instead of £100. This year I have already pretty much bought all of her presents already. shh, i need to get the deals first !!! !